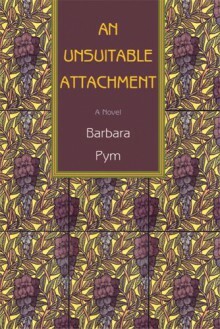 Set in St Basil’s, an undistinguished North London parish, An Unsuitable Attachment is indeed full of the high comedy for which Barbara Pym is famed. There is Mark Ainger, the vicar, who introduces his sermons with remarks like ‘Those of you who are familiar with the church of Santa Maria Maggiore in Rome.’ His wife Sophia with her cat, ‘I feel sometimes that I can’t reach Faustina as I’ve reached other cats.’ Rupert Stonebird, anthropologist and eligible bachelor. The well-bred Ianthe Broome who works at the library and forms an unsuitable attachment with a young man there. The sharp-tongue Mervyn Cantrell, chief librarian, who complains that ‘when books have things spilt on them it is always bottled sauce or gravy of the thickest and most repellent kind rather than something utterly exquisite and delicious.’ There is also Daisy Pettigrew, the vet’s sister, another obsessional cat person, and Sister Dew who bears a strong resemblance to Sister Blatt in Excellent Women. Barbara Pym writes of such restrained, easily embarrassed but never willing to show it people. Ianthe's almost hardly there love story enthralled and everyone else was five parts funny and one part tender.